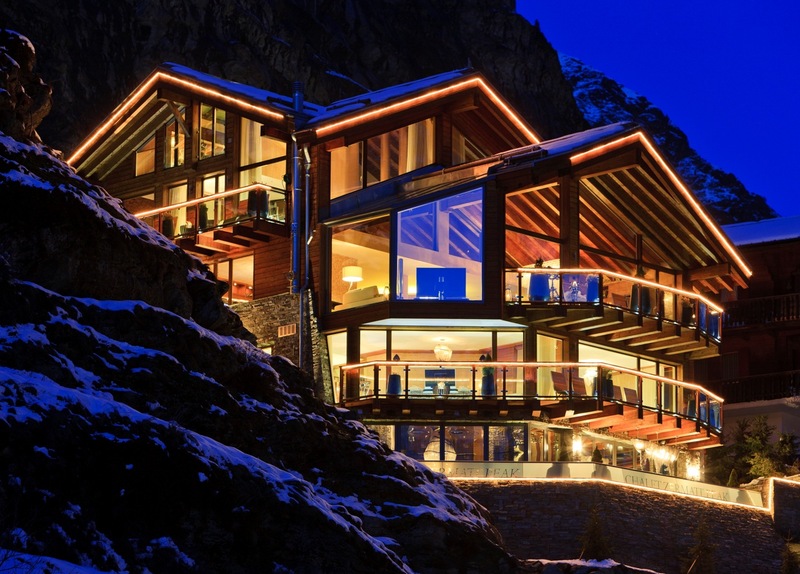 Working alongside a dedicated client we were given the opportunity to design an extraordinary luxurious interior to this chalet on the slopes of the luxury ski resort of Zermatt, Switzerland. 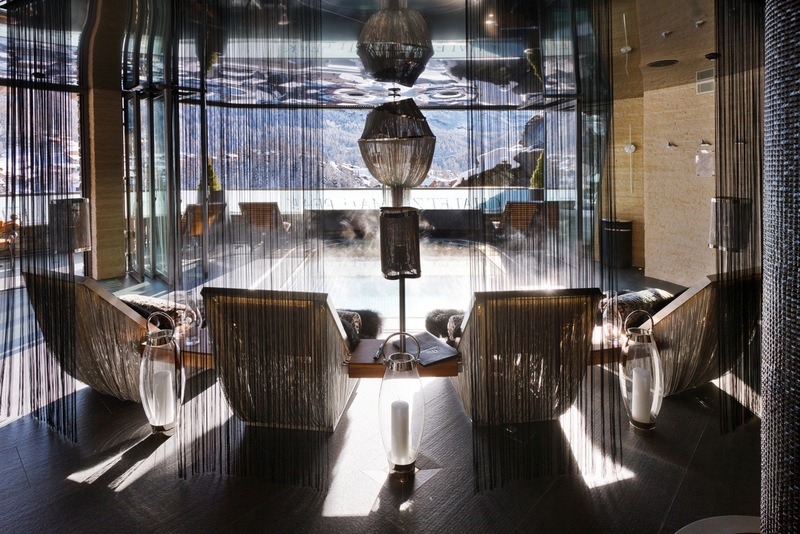 Glass windows and balconies pay tribute to the stunning scenery and view of the Matterhorn Mountain. This backdrop gave us the opportunity to create something truly special. 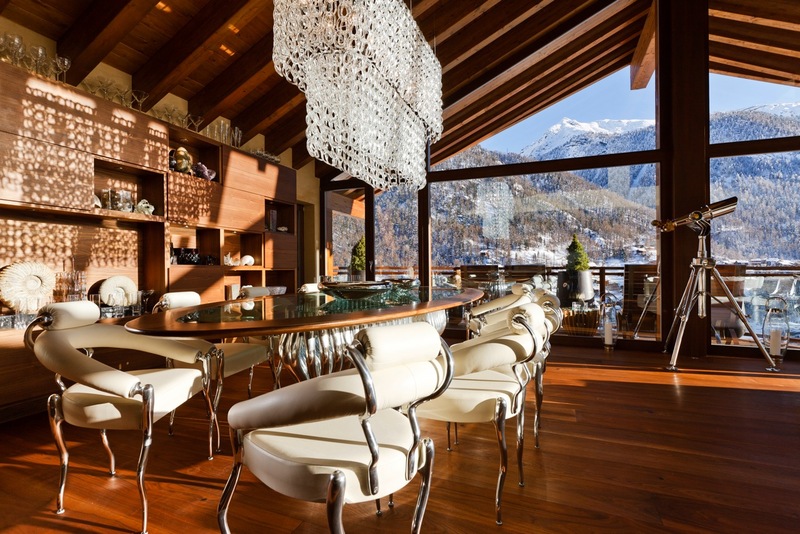 The chalet comes complete with bespoke furniture and fittings manufactured from leather, aluminium, steel, wood and glass. The design is focused on sculptural lines which bring a natural element and flow to the space. Lighting is used creatively to bring a luxuriousness and drama to the property, particularly the basement spa and entertainment areas. 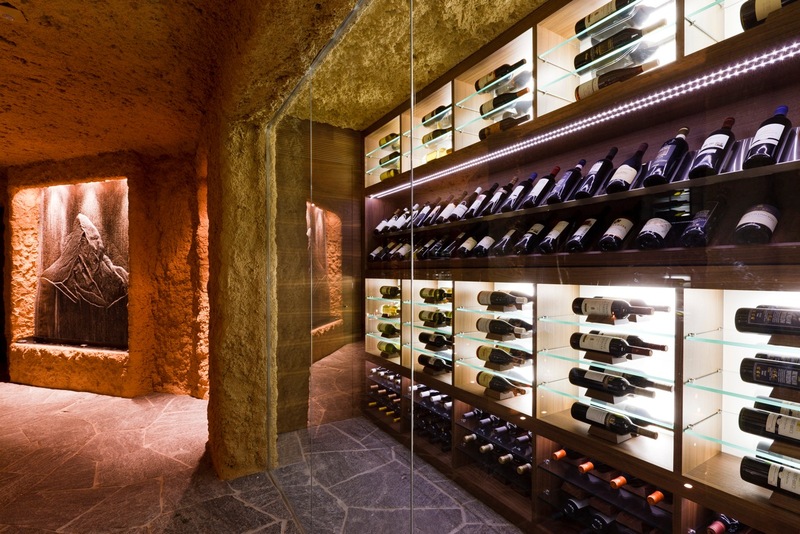 Other features include ‘walk in’ wine displays, fire pits and bespoke chandelier light fittings.